Far beyond the issue of whether interstellar travel is technologically possible is the very practical issue of where we should go once we have built our first "starship." The whole idea of interstellar travel was created by fiction writers, but because it has many elements of good science in it, it is a very persuasive idea. It is an idea located smack in the middle of the "gray area" between fantasy and reality, and this is what inspires people to try to imagine ways to make it a reality. One thing we do know is that it will be an expensive venture requiring an investment at the level of many percent of an entire planet's GDP. Faced with the mounting impact of climate change, will Society have enough spare change for this kind of undertaking? By some estimates, the first interstellar voyage will cost many trillions of dollars, require decades to construct and involve tens to hundreds of passengers and explorers. It will certainly cost more than the $100 billion for our first manned trip to Mars! Assuming a project of this scope can even be sold to the teeming humanity that will be left behind to pay the bills, how will the destination be selected? Will we just point the ship towards any star and commit these resources to a random journey and outcome, or will we know a LOT about where we are going before the fuel is loaded? Most of us will agree that the latter case for such an expensive "one off" mission is more likely. So... Where will they go? The 10 nearest stars are: Proxima Centauri (4.24 lys), Alpha Centauri (4.36), Barnards Star (5.96), Luhman 16 (6.59), Wolf 359 (7.78), Lalande 21185 (8.29), Sirius (8.59), Luyten 726-8 (8.72), Ross 154 (9.68) and Ross 248 (10.32). This takes us out to a distance of just over 10 light years from Earth. Alpha Centauri B has one unverified Earth-sized planet, but not in the star's liquid-water habitable zone (HZ). It orbits ten times closer than Mercury. There are no planets larger than Neptune orbiting this star closer than our planet Jupiter. Barnards Star has a no known planets, but a Jupiter-sized planet inside the orbit of Mars is exluded, and this is still a viable star for future searches for terrestrial planets in the star's HZ. Luhman 16 is a binary system whose members orbit each other every 25 years at a distance of 3 AU. A possible companion orbits one of these stars every month at a distance closer than Mercury. As for the stars Wolf 359, Lalande 21185, Sirius, Luyten 726-8, Ross 154 and Ross 248, there have been searches for Jupiter-sized companions around these nearby stars, but none have ever been claimed. 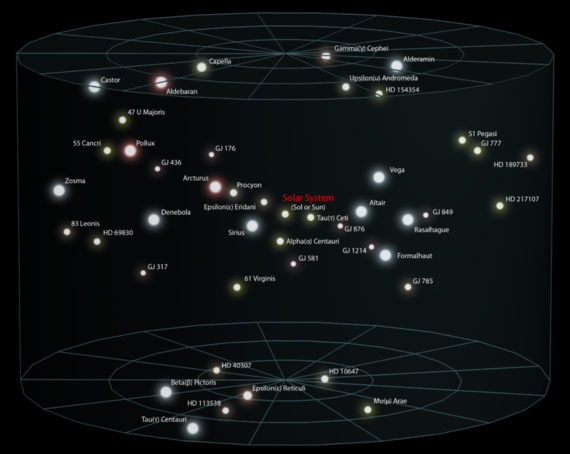 So, the nearest stars within 10 light years are pretty bleak as destinations for expensive missions. There is no solid evidence for Earth-sized planets orbiting within the HZs of any of them. These would not be plausible targets because there is so little return on the high cost of getting there, even though that cost in terms of travel time is the smallest of all stars in our neighborhood. Let's take a bigger step. 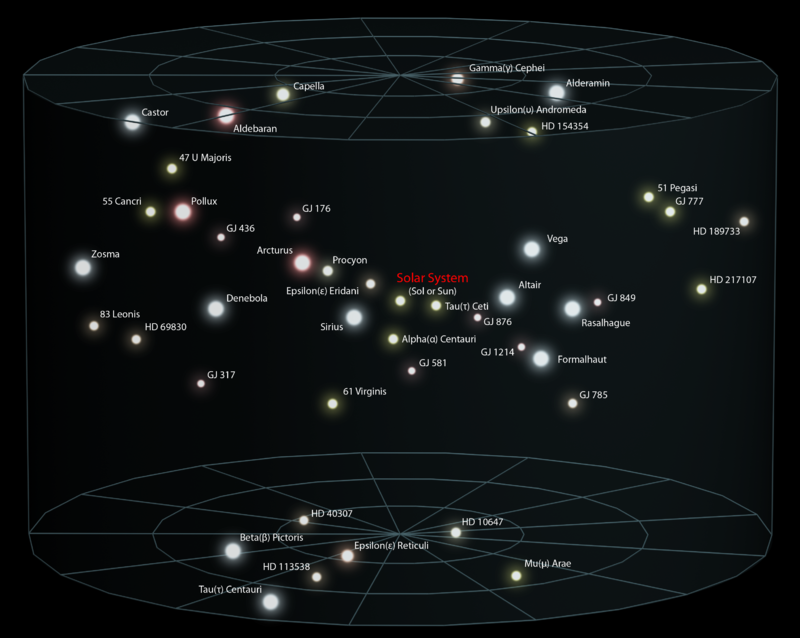 Out to a distance of 16 light years there are 56 normal stars, which include some promising candidate targets. Only six of them even have planets, and they are no pieces of cake either! Epsilon Eridani (10.52 ly) has one known giant planet outside its HZ. It also has two asteroid belts: one at about 3 AU and one at about 20 AU. No one would ever risk a priceless mission by sending it to a sparse planetary system with deadly asteroid belts and no HZ candidates! Groombridge 34 (11.62 ly) -The only suspected planet has a mass of more than five Earths. No mission would be sent to such a planet for which an atmosphere would probably be crushingly dense and probably Jupiter-like even if it was in its HZ. Epsilon Indi (11.82 ly) - has a possible Jupiter-sized planet with a period of more than 20 years. No known smaller planets. 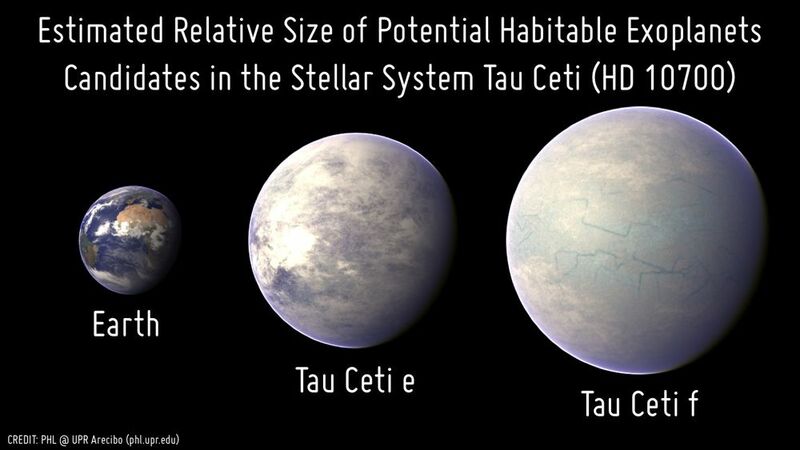 Tau Ceti (11.88 ly) probably has five planets between two and six times Earth's mass, and with periods from 14 to 640 days. Planet Tau Ceti f is colder than Mars and is at the outer limit to the star's HZ. 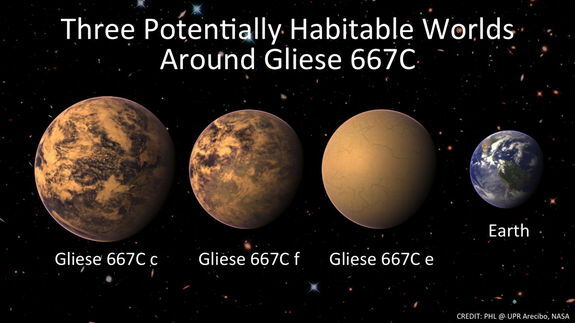 Its atmosphere might be dense enough for greenhouse heating, so the world might be habitable after all. But this is guesswork not certainty. Kapteyn's Star (12.77 ly) -- It has two planets, Kapteyn b and Kapteyn c that are five to eight times the mass of Earth. Again: massive planets whose surface you could never visit, so what is the point of the interstellar expedition? Gliese 876 (15.2 ly) has four planets, all have more than six times the mass of Earth and orbit closer than the planet Mercury. Gliese 876 c is a giant planet like Jupiter in the star's habitable zone. Would you bet the entire mission that 876c has habitable "Galilean moons" like our Jupiter? This would be an unacceptable shot in the dark, though a tantalizing one. So, out to 15 light years we have some interesting prospects but no confirmed Earth-sized planet in its star's HZ whose surface you could actually visit. We also have no solid data on the atmospheres of any of these worlds. None of these candidates seem worth investing the resources of a trillion-dollar mission to reach and study. We can study them all from Earth at far less cost. 61 Virginis (11.41 ly) -- It has three planets with masses between five and 25 times Earth crowded inside the orbit of Venus. The debris disk has at least 10 times as many comets as our solar system, which makes this an unacceptable high risk target. Gliese 667 (23.2 ly) -- Planets c and d are in the star's HZ and are at least three times the mass of Earth. Their hypothetical moons may be habitable. 55 Cancri (40.3 ly)- All five planets are more than five times the mass of Earth. Only 55 Cancri e is located at the inner edge of the star's HZ and its hypothetical moons could be habitable. HD 69830 (40.7 ly) has a debris disk produced by an asteroid belt twenty times more massive than that in our own system. Three detected planets have masses between 10 to 18 times that of Earth. The debris disk makes this a high-risk prospect even if there are habitable moons. HD 40307 (41.8 ly) The fifth planet of this system is in the star's HZ. The planets range in mass from three to ten times Earth. Again, is a planet in its HZ with a mass too great for a direct human visit a good candidate? Upsilon Andromedae (44.25 ly) The planet, d, is in the systems HZ, has three times the mass of Jupiter, with huge temperature swings. Its hypothetical moons may be habitable with deadly seasons. 47 Ursa Majoris (45.9 ly) The only known planet 47 Ursae Majoris b is more than twice the mass of Jupiter and orbits between Mars and Jupiter. The inner part of the habitable zone could host a terrestrial planet in a stable orbit. None yet detected. There are still many more stars in this sample to detect, catalog and study so it is possible that a Goldilocks Planet could be found eventually. But we are now looking at candidates more than 20 light years away at a minimum. This will considerably increase the cost and duration of any interstellar mission by factors of five to ten times a simple jaunt to Alpha Centauri. Would you really consider a planet with two to five times Earth's gravity to be a candidate? Who would want to live under that crushing weight? Many of the candidates we have found so far are massive Earth's that few colonists would consider standing upon. Their surfaces are also technologically expensive to get to and leave. But perhaps these worlds might have moons with more comfortable gravities? There is always hope, but hope and speculation will not be enough to risk a multi-trillion-dollar mission. There is also the issue of atmosphere. None of the candidate planets we have discussed transit their stars, so we cannot figure out if they have atmospheres and if their compositions are lethal. The perfect destination worth the expense of a trip would have a breathable atmosphere with oxygen. Since free oxygen is only produced by living systems, our target planet would have a biosphere. We can only hope that as the surveys of the nearby stars continue, we will find one of these. But the statistics from the Kepler Survey suggests we will have to search much farther than 50 light years and 2,000 stars before we encounter one. That makes the interstellar voyage even more costly, not by factors of five and ten, but potentially hundreds of times. But if the trip were to a world with a known biosphere, THAT might be worth the effort, but possibly nothing less than this would be worth the cost, the risk, and the scientific return. So, the bottom line is that the only interstellar destination worth the expense is one in which colonists could live comfortably on the Earth-sized planet with: 1. A lethal atmosphere, hermetically sealed under a dome, or: 2. A breathable oxygen atmosphere and a biosphere. Statistically, we will find far more examples of the first kind of target than the second. But in the majority of the cases, we will not be able to detect the atmosphere of an Earth-sized world in its habitable zone before we start the trip, and will have to 'guess' whether it even has an atmosphere at all! The enormous cost of an interstellar trip to a target tens or even hundreds of light years away will preclude any guess work about what we will find when we get there. Consider this: Investing $100 billion to travel to Mars, a low-risk planet we thoroughly understand in detail, is still considered a political pipe dream even with existing technology! What would we call a trip that costs 1,000 times as much?